Belkin Components is the leading manufacturer of computer peripherals and power protection devices. The company delivers niche products that make your life easier and maximize your computer or consumer electronic investment. Belkin provides a wide range of power options to give you proven reliability and operational safety. 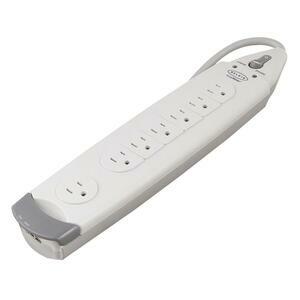 Belkin has all the necessary power adapters, surge protectors and other power devices to be working in every country of the world. This SurgeMaster surge protector offers the added assurance of sliding safety covers on each outlet, which helps protect users from shock hazards and keep the internal mechanism free of dust and dirt.